ALEKS PPL provides actionable data that gives you visibility into placement details and learning progress. These reports will help you design courses that effectively meet the needs of students and their degree programs. You will see a snapshot of the assessment results at the cohort level or the individual student level. 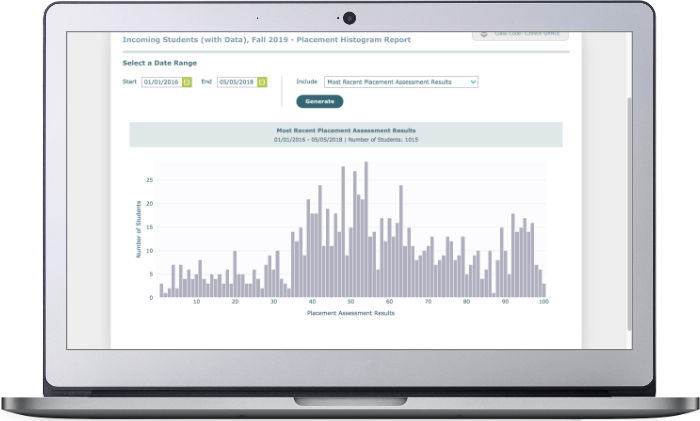 Then, the placement histogram visually shows the distribution of incoming student scores. This report is helpful when predicting course enrollments and scheduling. Progress reports provide insights to tutors and advisors on how students are both learning and retaining topics as they work to refresh skills and concepts. 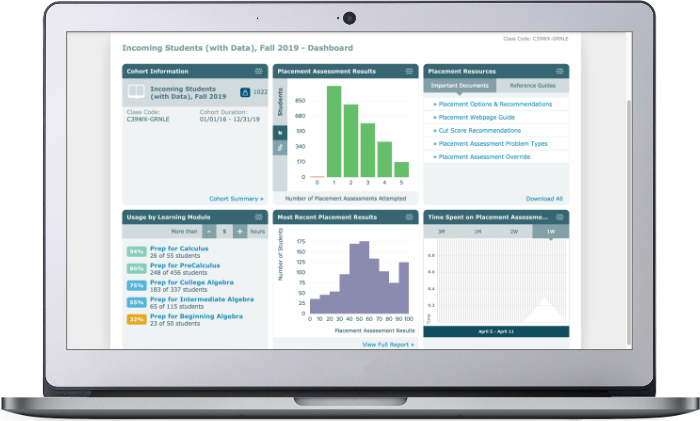 This will enable you to examine learning rates, time spent learning and how students are progressing between placement assessments.